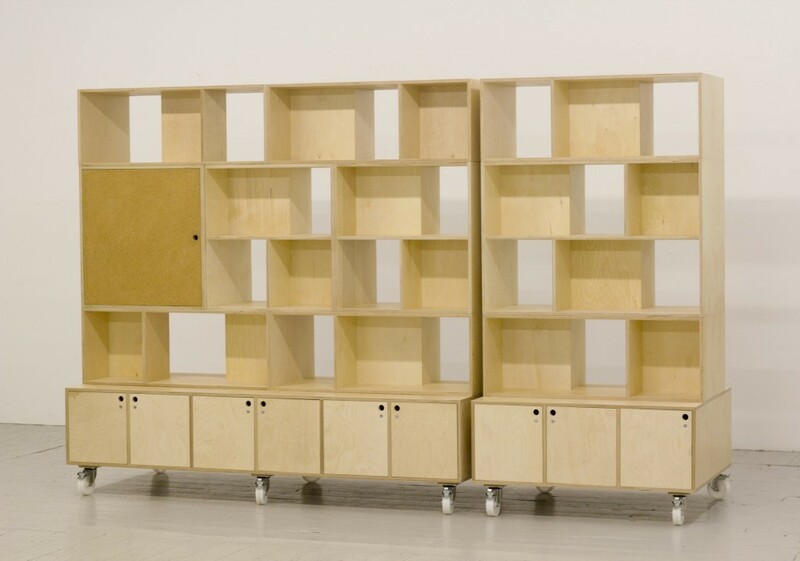 Modular storage units for National Theatre of Scotland’s new open plan offices at Rockvilla. 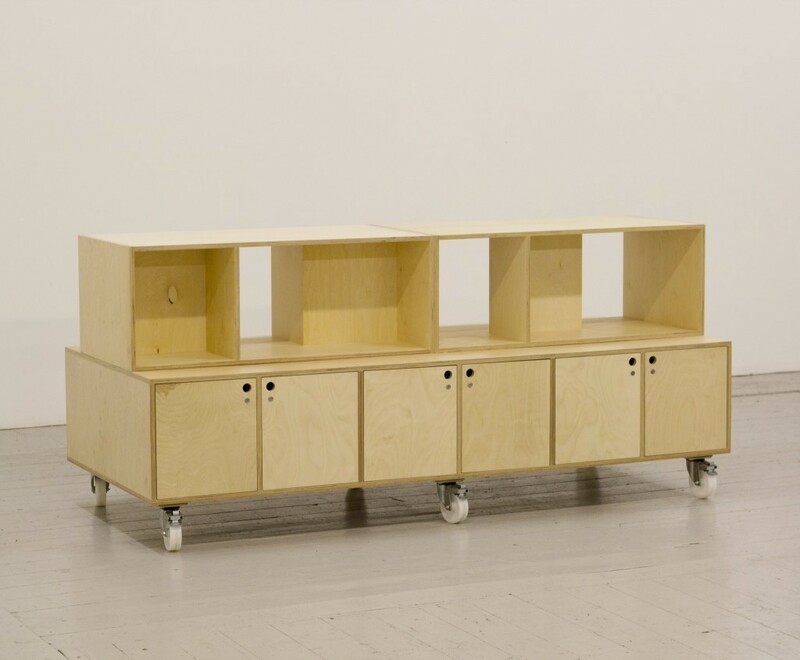 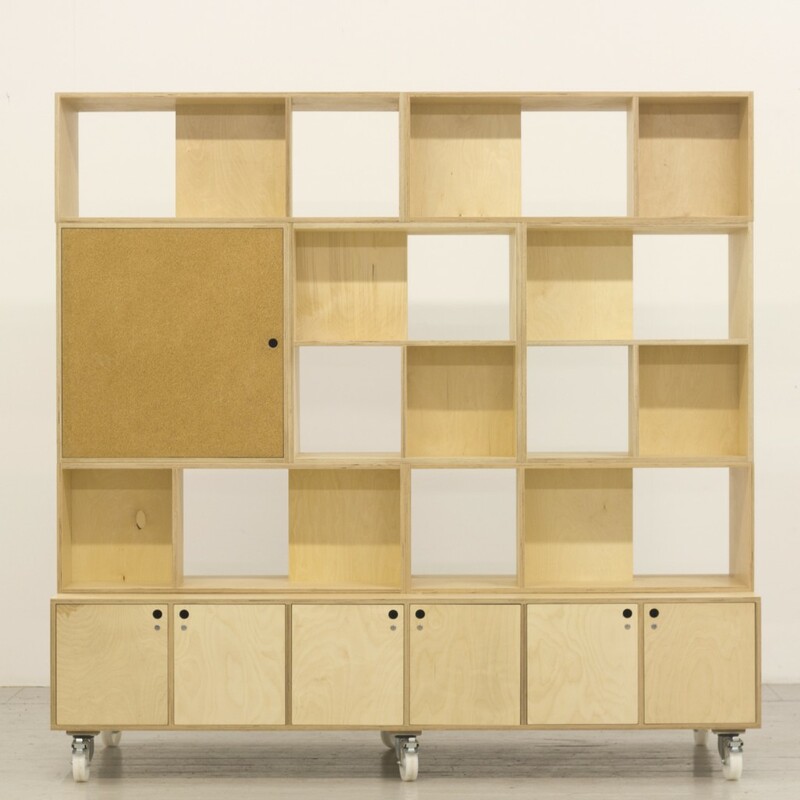 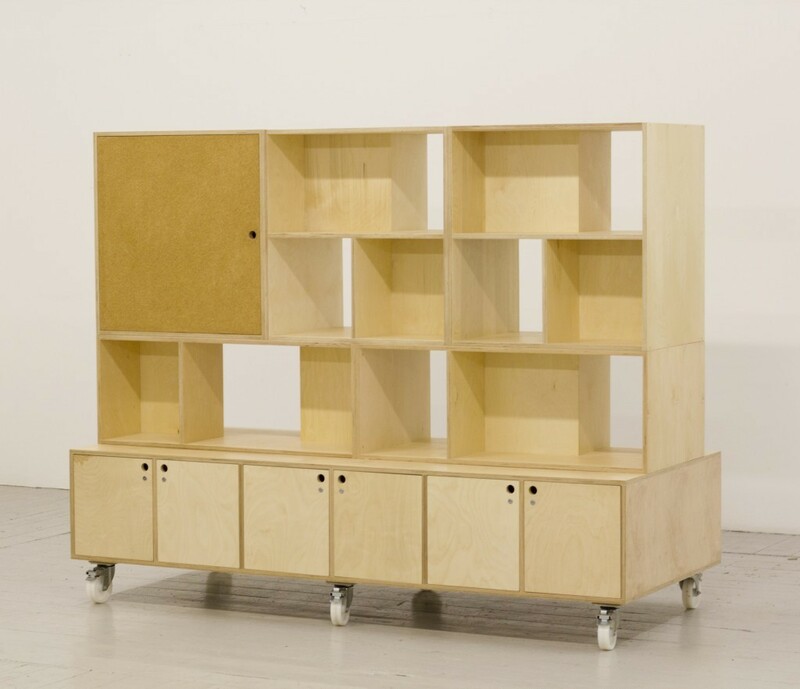 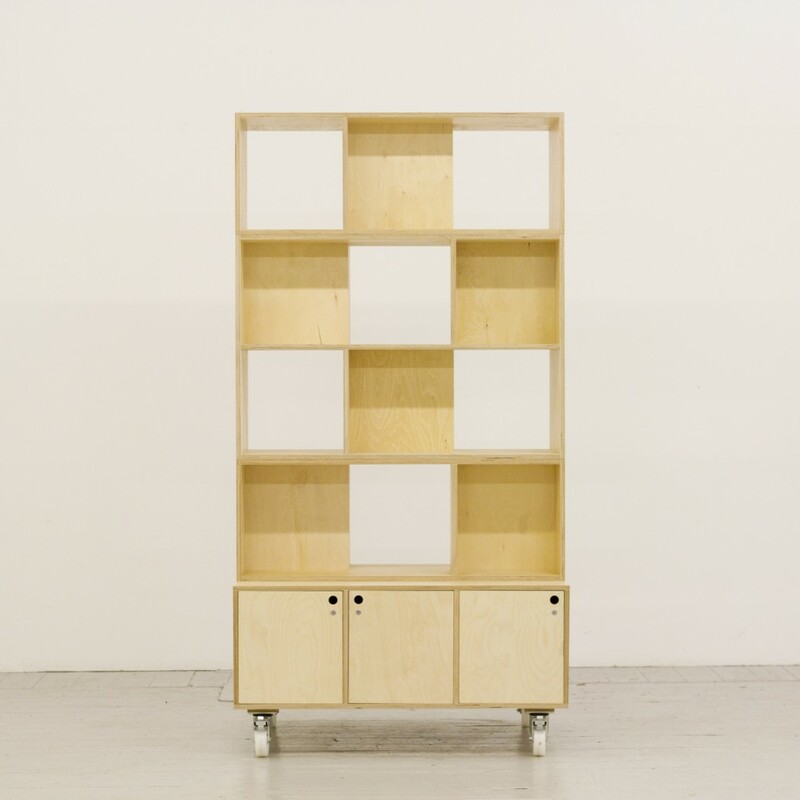 Eighteen movable ‘base units’ were supplied with a further 110 individual pieces, including shelving, cupboards and lockers. 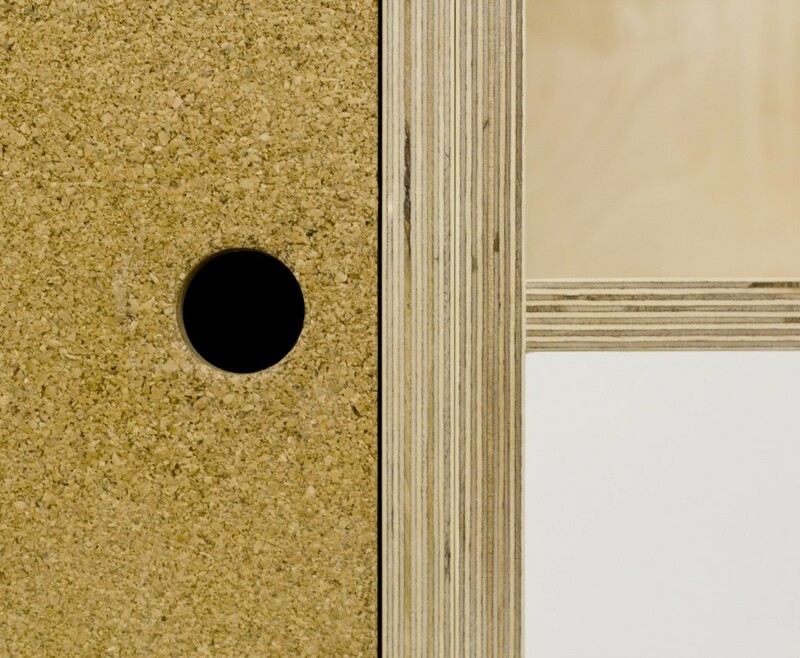 Birch plywood, cork, caster wheels.